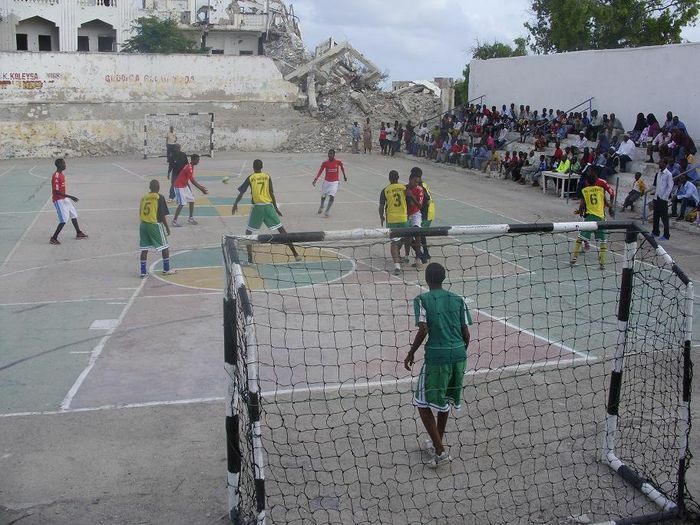 For the first time in many years, Somali students in the capital Mogadishu are competing in handball tournament which commenced at the ill-equipped 1st July playground north east of the capital on Friday afternoon. 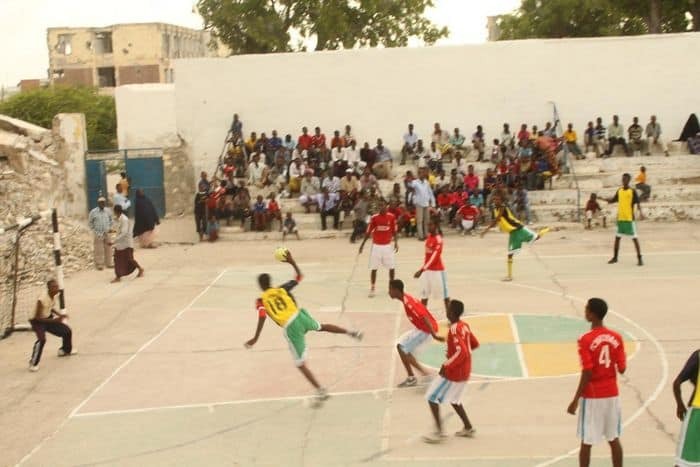 Teenagers between 14-16 years of age are taking part in the two week-long tournament representing 8 schools in the capital in what was described as the ‘revival of schools handball tournament’ in Somalia. 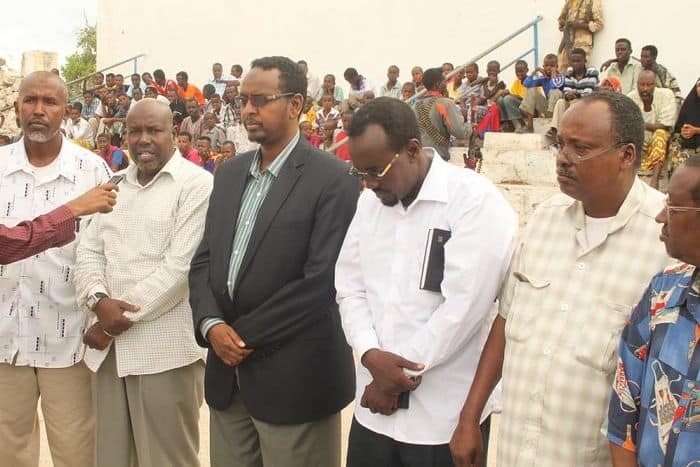 The president of Somali handball Federation Mohamed Hurshe Hassan who addressed the opening ceremony of the tournament said that his federation is giving more priority to the schools which he said is very crucial to the promotion of handball in Somalia. 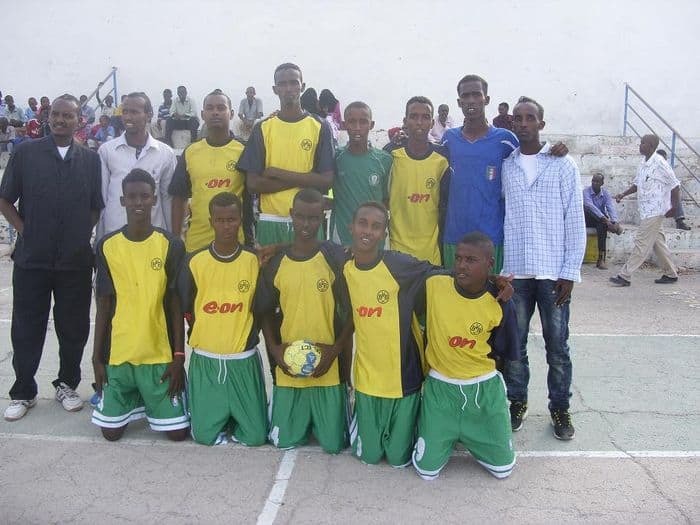 “As we know schools are where Somali sports had first grown from and that is why we are prioritizing the schools tournament,” the Somali Handball Federation president noted during his opening address on Friday afternoon. 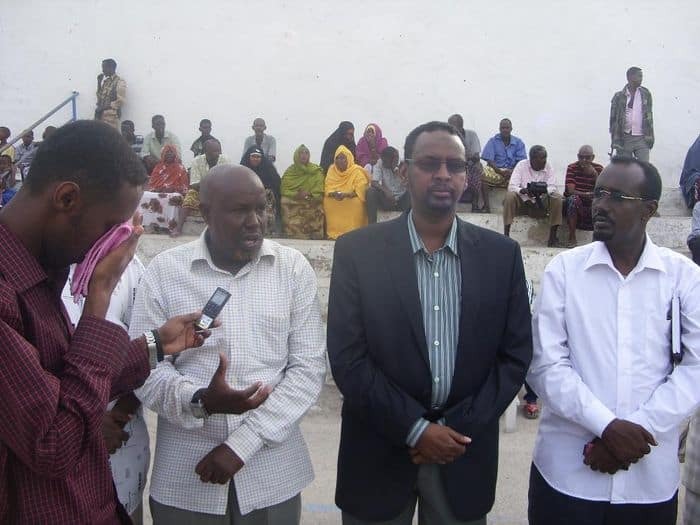 The President noted that that the two week-long tournament is test for the revival of Somali schools handball tournament. In 2012, the organization intends to organize a large competition with nearly twenty schools taking part” president Mohamed Hurshe Hassan emphasized. 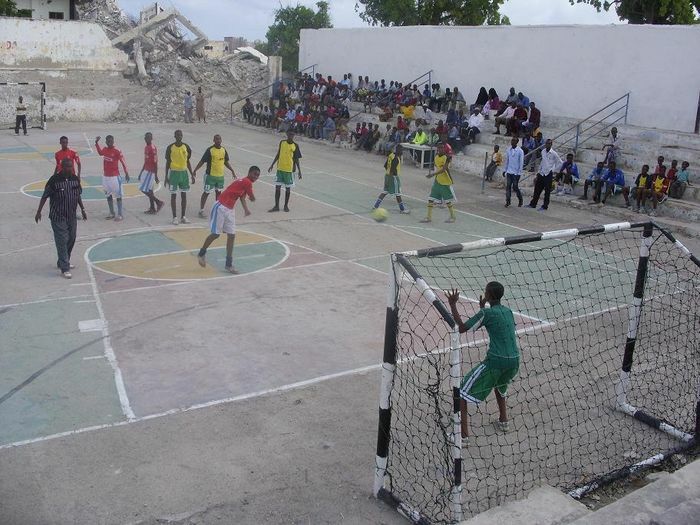 The 1st July stadium which is now hosting the tournament has been an Al-Shabaab base for the past several years during which the Somali Capital Mogadishu has been experiencing daily armed confrontations between Somali government forces and the Al-Qaeda-linked Al-shabaab militants. Boys from Al-Mathal school defeated their Al-furqaan school rivals by 21-9 in Friday’s opening match.